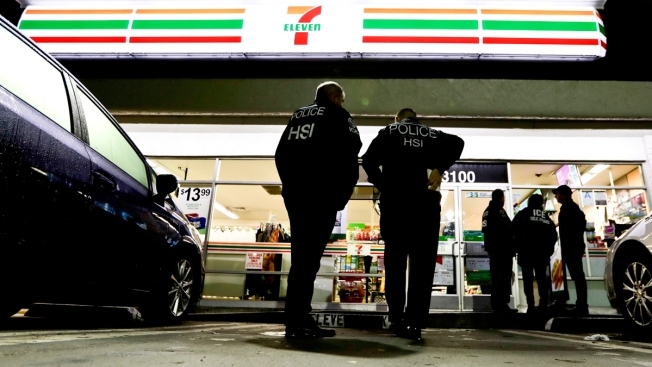 In this Wednesday, Jan. 10, 2018, file photo, U.S. Immigration and Customs Enforcement agents serve an employment audit notice at a 7-Eleven convenience store in Los Angeles. Expansive plans also have been drafted for a long-term push to scrutinize employers' hiring practices more closely. Under a 1986 federal law, companies must verify their employees are authorized to work in the United States by reviewing their documents and verifying to the government the employees' identity and work authorization. If employers are found to hire someone without proper documents, the employers may be subject to administrative fines and, in some cases, criminal prosecution. The recent focus on employers comes after a surge of deportation arrests of workers that started immediately after Trump took office in January 2017. The crackdown is likely to please immigration hawks among Trump's supporters but may alienate industries and companies that rely on immigrant labor. 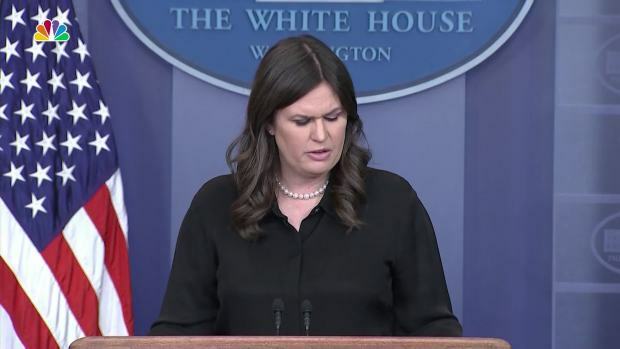 President Donald Trump said he’s thinking about removing Immigration and Customs Enforcement agents out of California because of his growing frustration with the state’s “lousy management job” on immigration. Derek Benner, head of ICE's Homeland Security Investigations unit, told The Associated Press that another nationwide wave of audits planned this summer would push the total "well over" 5,000 by Sept 30. ICE audits peaked at 3,127 in 2013. The proposal aims to create a "reasonable expectation" among employers that they will be audited, Benner said. "This is kind of our vision of creating this culture of compliance," he said. "I think it's a game-changer." In October, Thomas Homan, ICE's acting director, pledged to increase workplace enforcement by "four or five times," opening a new front in an immigration crackdown that includes a 40 percent increase in deportation arrests and initial funding for a border wall with Mexico. In April, ICE agents made 97 arrests at a meatpacking plant in rural Tennessee with a helicopter flying above, reminiscent of the high-profile shows of force that were common during President George W. Bush's administration. It remains to be seen whether immigration authorities can perform enough audits to compel a similar degree of compliance that the Internal Revenue Service does on personal and corporate tax returns. One measure may be the number of employees who voluntarily enroll in the federal government's E-Verify system to electronically confirm if a person is authorized to work in the U.S.